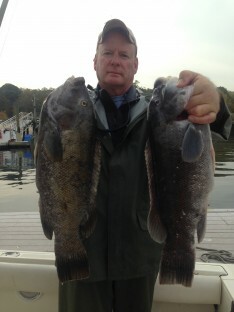 Free Fishing Reports > Northeast > New York > North Shore > Precious and the Capt. enjoy a Quick Hit Bonanza !!! Precious and the Capt. enjoy a Quick Hit Bonanza !!! It was warm, calm and had “Mocha” along to join in on the fun…The crew went out at the right time, anchored, slammed the fish and came in with their limit of Blackfish from 4-7 lbs. 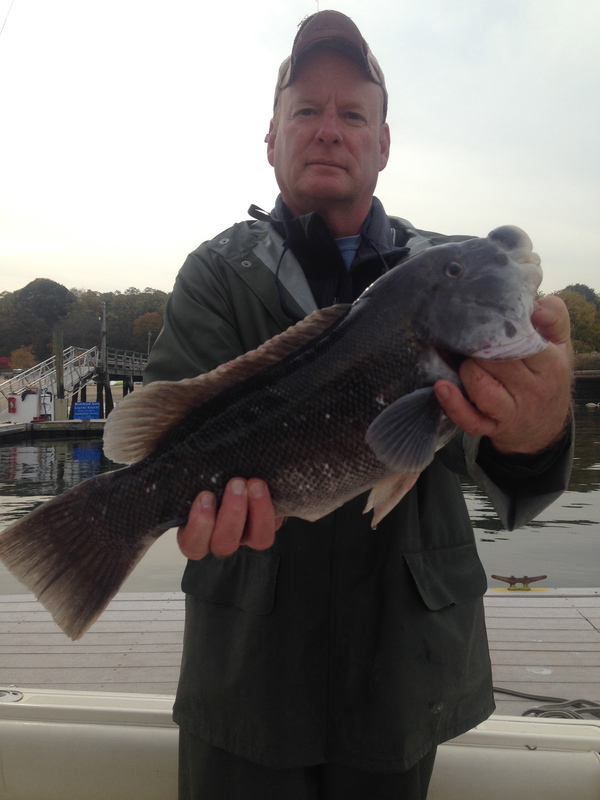 Rich was high hook with his nice 7 lb. Tog… and of coarse Mocha got into the act enjoying barking and pushing the fish all over the deck and checking them out in the fish well… A few nice keeper Sea Bass were also caught … Thumbs up to a Beautiful Day !! !